Thousands of visitors a year, K-12 teachers and students, and millions of others learn from McDonald Observatory and StarDate programs. 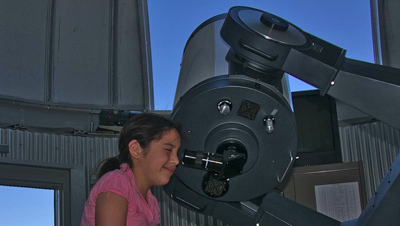 With your support as a Friend of McDonald Observatory, we can work to improve K-12 science education and help students of all ages become citizen scientists. Make a tax-deductible gift to the annual fund — give a one-time tax-deductible gift in support of the Observatory's work in K-12 science education and outreach. Join or renew membership as a Friend of the Observatory — make a gift to support K-12 science education and receive a year of member benefits. Make a gift to last a lifetime — make a contribution to the Education and Outreach endowment. Leave a legacy, and support the Observatory in perpetuity. And don’t forget: Ask your company to match your gift!